Margaret Lewis Warwick’s soulful country ballad “Reconsider Me,” penned by Warwick and RAM label owner Mira Smith, reflects the hours the songwriting duo spent together honing a mournful, intimate interplay of voice and guitar. The world-weary lyrics and Warwick’s forlorn, wistful vocal fit like hand in glove with the echoing guitar lines. Ironically, the pair’s low-key version would set the stage for musical-chart fireworks when interpreted by heavy-hitting vocalists. Country-music legend Narvel Felts, for one, scored a No. 2 hit with his version released in 1975, following earlier attempts by fellow twangsters Ray Pillow and John Wesley Ryles. However, perhaps the version most beloved by local music fans floated from the angelic voice of New Orleans’ own “Tan Canary,” soul titan Johnny Adams, whose soaring 1969 waxing was his biggest hit, peaking at #8 on the American R&B charts and #28 on the pop charts. Adams isn’t the only Louisiana legend to take on “Reconsider Me.” The recently deceased Jimmy Elledge, who at age 18 burst onto the scene with his Chet Atkins-produced take on Willie Nelson’s “Funny How Time Slips Away,” tackled the song late in his career on a self-released CD. A pianist with a multi-octave vocal range, Elledge delivered perhaps the only take spine-tingling enough to rival the Tan Canary’s. But tonight, July 17th, at 6 p.m. at the Old U.S. Mint is your chance to hear the original co-composer re-create her version as only she can. 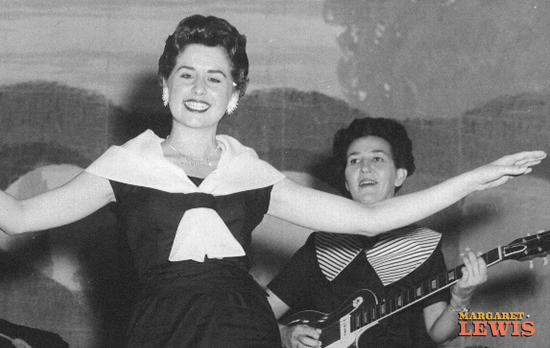 Mira Smith has passed, but come see Margaret Lewis Warwick tonight in a presentation by the Ponderosa Stomp Foundation and The Friends of the Cabildo. She will be accompanied by a band that includes Monroe musician Kenny Bill Stinson, known for his dead-on imitation of “The Killer,” Jerry Lee Lewis, as well as for his stint in Louisiana supergroup Lil’ Band o’ Gold.